Nellie Zabel Willhite was South Dakota’s first woman pilot. Born in 1892, she became deaf two years later after contracting measles. 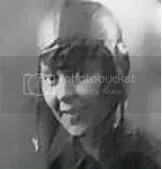 She began flying at the age of 35, Nellie enrolled in aviation school and became the State of South Dakota’s first female pilot and probably the world’s first licensed pilot ever who was almost completely deaf. Nellie’s father bought a plane for her: an open-cockpit Alexander Eagle Rock OX-5 biplane. She christened it “Pard”, her dad’s nickname. She once said: “Even though I could barely hear the engine roar, I could tell right away if anything was wrong – just from the vibrations.” She earned a living as a “barnstormer”, doing air shows, races and giving rides to whomever wanted one. She was outstanding in the tight, fast maneuvering necessary in balloon target racing in which pilots would fly into balloons to burst them. Nellie worked as a commercial pilot until she was 52. She founded the South Dakota chapter of the “Ninety-Nines”, a group of pioneering women flyers. She was a charter member of the national organization when Amelia Earhart was the president. Shortly before her death, she was inducted into the South Dakota Aviation Hall of Fame. Her plane was a long-wing Alexander Eaglerock built in 1928 and was a favorite aircraft for barnstorming popular in those days. The Southerm Museum of Flight in Birmingham, Alabama proudly displays Nellie’s “Pard” in its Early Aviation Hanger. The Eaglerock is one of only five (5) remaining models of this type. Very interesting! I like to read about deaf person who was famous for deaf person who can doing their love to fly. Something that hearing people never heard of her. Amelia was first famous .. one problem many time people dont familiar deaf Pilot. Kind of unfriendly to deaf if they know about her.. Why No one tell the people about Nellie Z. Willhite. Sad things missed the story about her successful. How great it is to learn something about that lady. More Deaf achievers of the old times should be recognized once again. Wished we could have our own Deaf Holiday day such as MLK, George Washington & etc. How about DPN’s holiday day?!? Every March, every Deaf schools and class programs are to be closed and opened for our special event in sharing all information about the Deaf achievers, umm? I did not know about her. Wow. Question for you, Why is her plane display in Ala? It should be her hometown, SD. Willhite is mentioned in “Deaf Heritage” and “Great Deaf Americans: the Second Edition,” and there’s a biographical sketch of her in the November 2007 issue of “Deaf Life.” Her adventures have been publicized elsewhere . . . it’s not as though there’s been a cover-up or anything like that. As for why the “Pard” is in Alabama and not South Dakota, Willhite sold it during the Depression to an airplane buff, because she could no longer afford the high cost of fuel and upkeep. She was sorry to sell the “Pard,” but wanted it to be with someone who would take care of it. The man she sold the “Pard to sold it someone else, who brought it to Mississippi, and it was sold to its present owner, who lovingly restored it and has loaned it to the Southern Museum of Flight. It’s said to be in excellent shape. Well there is other thing that it will surprise you that deaf guy broke record of longest flying plane from north america to Ireland around 1980’s… radio controlled plane… I remember that he was from Pennsylvania, his feat was published in Model Aviation magazine,offical publication of Academy of Model Aeronautics. It might interest you to know that the first person, deaf OR hearing, to fly across the United States from coast to coast had a hearing loss great enough to affect his speech and understanding of other people. He was Calbraith Perry Rodgers, who flew a Wright Brothers airplane, the Vin Fiz, from Brooklyn, N.Y., to Long Beach, Calif., in 1911. Probably today he would be classified as severely hard of hearing. I had the pleasure of spending an afternoon in 1978 at Nellie’s house in Sioux Falls. A friend was interviewing her as a college class project. I realize now that I did not appreciate the significance at the time. Reading this article reminded me of that honor of being able to hear her story firsthand. Deafmutearthur, you’re confusing Nellie Zabel Willhite and Bessie Coleman. My grandmother, a widow, took in washings to feed her family. Nellie Willhite was one of her patrons in Sioux Falls, SD, and I remember her well. I was rather awed she was a pilot, and recall her rather strange voice. My Dad, another early pilot, took me as a child for a ride in an Eagle Rock biplane. I have an aviation calendar that gives one event in women’s aviation, per day. On Jan 13, 1928, Nellie soloed. The calendar said she was South Dakota’s first woman pilot, but doesn’t mention she was deaf. It was only when I began doing research that I found out she was deaf as well. What an inspiring story! Fantastic!! It’s extradordinary. I did know She want’s participed to WWI but, stupids rules Federation Flying American don’t leave. That’s discrimination!! All time to fight to reallity on her dream to fly. She was didn’t! Good Job, Nellie! We pround you!! I met Nellie when I was just a young girl. She lived in my neighborhood. When she no longer flew planes, she raised small dogs for sale. I would go to her house and help her do things and take care of her dogs. She even named one after me! She lived alone with her animals. On holidays, other times too, I would take her a plate of goodies. In her later years she had surgeries. When she was in the hospital I would take care of her house and animals. One time my family pitched in and we painted the inside of her house. She had a pocket hearing aid. She played alot of solitaire. Nellie is my great aunt. I am so proud to see her get her props. Hey! Nellie is my great great aunt. I had no idea she was deaf. What an amazing story! Also, Lucy we must be related! I just googled her because my mom terry mentioned a little of the old family lore after a news show about earhart. very cool! She was my great Aunt (who I did not know). She wasn’t black, as her parents where of German and English descent, but she was hard of hearing. James, check out #10 and #16… Glad to know that she was German descent as my great grandpa and grandma came to America from Germany… Smile! Will any one help me finding plans or blueprints? Great Deaf Woman! Feb 2008 first comment made on blog. 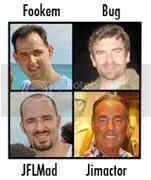 Now years after we are still looking for Nellie on computer. They should add that Nellie was Deaf Woman when she is on calendar. I am doing a paper for class on Nellie, Good story. Awesome story. I currently have a deaf student that I am teaching to fly in a recreational plane in Australia. My wife is a teacher of the deaf. I am learning sign language. My deaf student is very skilled and very easy to teach. My student is picking up the flying more quickly than I am picking up the sign language, however he is being patient with me. It is the most fun that I have had flying in a long time. I love this story of this female deaf pilot, breaking down perceived barriers way back then. There is nothing that deaf people cant do. Nellie was my grandmother’s sister. I had the pleasure of knowing her for 31 years. To me, she was “Aunt Nellie” and what a wonderful person she was. She used to take my dad up in her plane and go barnstorming when he was a child. I will always remember her and what a great person she was. check out WASP on website..